The fifth grade curriculum revolves around the EIC curricular framework. 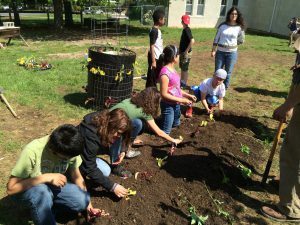 Three project-based units use the local environment and community as an integrating context for learning. These hands-on, integrated community investigations engage us in real-world explorations of natural and social systems. Fifth grade students study body systems, systems processes, the interactions between settlement patterns and ecosystems, and pollinator populations. The first fifth grade integrated unit relates concrete understandings of systems to more abstract understanding of systems as students investigate a variety of systems, starting with the human body. Students explore the components, processes, and the function of each body system and note how they are dynamic and interdependent. Students inquire into the ways systems change, balance, grow, and adapt. Through this community investigation, students discover how by-products from mechanical systems affect the health of living things. In this investigation, students investigate the early settlements of Emmaus to gain information about the natural and social systems that were present during the Colonial time period. Through studying the current layout of the town and comparing it to historical records, the students determine the interactions between natural and social systems in our local region. 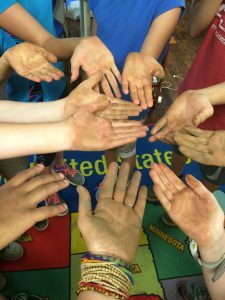 Additionally, students explore how early settlements affected the natural systems, including the deforestation of South Mountain and changes in the local water systems. Concepts developed during this unit are generalized to the study of American History. 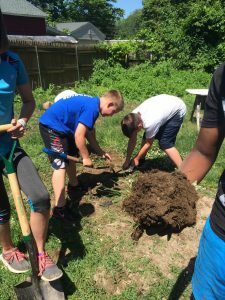 As students investigate the relationships between pollinators and the natural environment, they develop an understanding of how populations interact and change as a result of those interactions. Students investigate downward trends in populations of pollinators and their probable causes and effects. Maintaining top bar beehives and providing for its health is an important part of this investigation. The fifth grade students of Seven Generations Charter School 2017-2018 have written this book to inform people about the importance of herbs. We, the fifth grade students, believe that herbs have many unknown facts and important information. Please download this book and find out more about herbs that you could grow in your garden along with recipies that you could make at home. If you love our book please make a donation to support our ongoing efforts to create food and habitats for our local pollinators. All proceeds will go towards buying more plants for our garden. To donate click the “Donate” button below! Download the 2017- 2018 Herb Book Here!